(VEN) - Bai Choi singing, a folk music genre practiced in Vietnam’s central region, has been added to the UNESCO Representative List of the Intangible Cultural Heritage of Humanity, according to the Ministry of Culture, Sports and Tourism’s Department of Cultural Heritage. The decision was made at the 12th session of the United Nations Educational, Scientific and Cultural Organization (UNESCO) Inter-governmental Committee for the Safeguarding of the Intangible Cultural Heritage in Jeju, the Republic of Korea (RoK), on December 7, 2017. 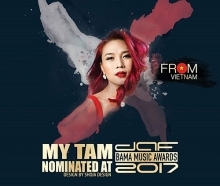 With the recognition, Bai Choi singing has become the 10th Vietnamese heritage honored as representing a cultural heritage of humanity. The decision was adopted unanimously by all 24 committee members. 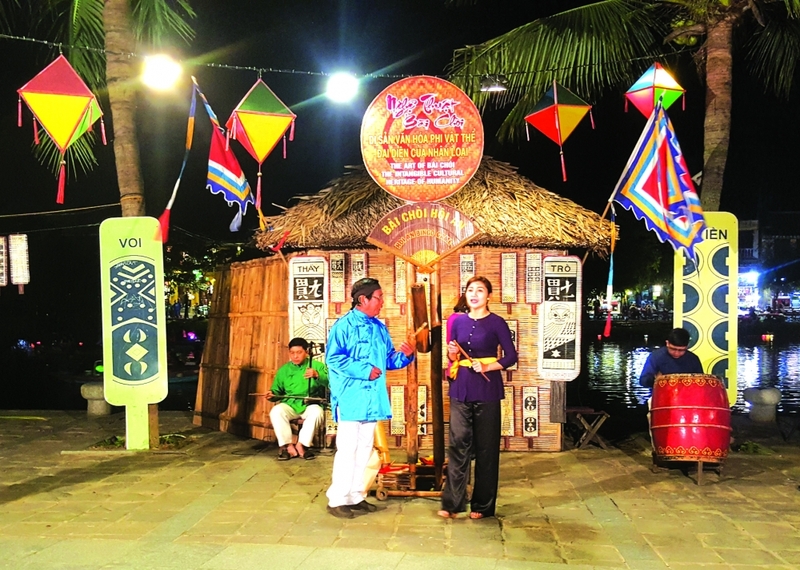 The folk singing genre is popular in the central provinces of Quang Binh, Quang Tri, Thua Thien Hue, Quang Nam, Quang Ngai, Binh Dinh, Phu Yen and Khanh Hoa, and the city of Da Nang. The game and songs were developed by Mandarin Dao Duy Tu (1572-1634) to help farmers protect their crops. According to the Inter-governmental Committee for the Safeguarding of the Intangible Cultural Heritage, Bai Choi is an important cultural activity in Vietnamese villages and communes, meeting the demand for entertainment and arts. The art of Bai Choi combines music, poetry, acting, painting and literature. It takes two main forms: Bai Choi games and Bai Choi performance. Bai Choi games involve a card game played in bamboo huts during the Lunar New Year. In Bai Choi performances, male and female artists perform on a rattan mat. The bearers and practitioners of the art of Bai Choi are Hieu artists, solo Bai Choi performers, card-making folk artists and hut-making folk artists. The art of Bai Choi is an important form of culture and recreation within village communities. Performers and their families play a major role in safeguarding the practice by teaching song repertoires, singing skills, performance techniques and card-making methods to younger generations. Together with communities, these performers have set up nearly 90 Bai Choi teams, groups and clubs to practice and transmit the art form. Most performers learn their skills within the family and the skills are mainly transmitted orally, but artists specializing in Bai Choi also transmit knowledge and skills in clubs, schools and associations. The ancient town of Hoi An in Quang Nam Province is well known as a “living museum” of tangible and intangible cultures. Bai Choi has a significant position in the spiritual and cultural life of the local people, as well as providing a showcase for tourists. Artist Phung Thi Ngoc Hue from Hoi An said she loved singing lullabies when she was a little girl, she joined a mobile band to sing Bai Choi when she was 19, and has been doing so for more than 33 years. One needs to have a good and strong voice, and aptitude if he or she to become a Bai Choi singer, Hue said. Hue is teaching 12 and 13 year-old children how to sing Bai Choi. Vo Thi Hoang Tho from the Nguyen Duy Hieu Secondary School in Hoi An said she comes to the class almost every night to learn Bai Choi and sing Bai Choi for visitors. Bai Choi has been performed on an official stage in Hoi An since 1998. Artist Nguyen Luong Dan from Hoi An told Vietnam Economic News that he began singing Bai Choi in the 1980s as soon as he joined an agricultural cooperative’s mobile band to perform the traditional art to serve production teams, and has devoted his life to the art.